President Donald Trump and First Lady Melania Trump were hosting a yummy Thanksgiving dinner at their Mar-a-Lago club in Florida. The whole family was enjoying a rich menu, fun, small talks, and many other things! Oh, these Thanksgiving vibes are so wonderful! Isn't it great when the whole family gathers up to spend some quality time? It's no wonder than Melania Trump is a recognized style icon. She knows how to match clothes and look absolutely dazzling among everybody. However, it doesn't prevent her from wearing the same dresses all over again. During the Thanksgiving family dinner, FLOTUS was wearing an elegant Dolce & Gabbana black lace dress, which she wore in Israel last year. Though some people may find it a bit revealing (especially for her age, probably), Melania looked impeccable, confident, and calm. Three days ago, First Lady joined her husband at Thanksgiving Pardoning wearing a bit bizarre Dior coat, which the social media took for turkey style. 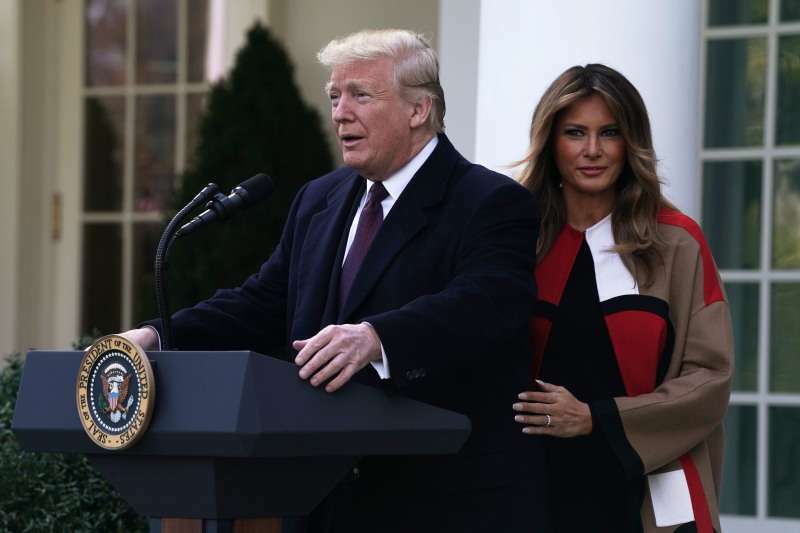 Even though the tan Dior coat with black, red, and white colors was extremely pricey – approximately $ 9,400 – Melania looked happy and indifferent to someone's remarks. But yeah, people loathed it a lot! Honestly, Melania Trump shows a fascinating fashion for her age. Even if some of her outfits are a bit off, she still stuns in many others!